The benefits of a mobile-enabled workforce are undeniable and far-reaching. For business owners, increasing operational and business velocity is no longer bounded by time and location. The benefits of mobility in unleashing innovation extend to employees, as well, in maximizing their productivity and in balancing their personal and work lives. Ultimately, technology can minimize compromisesso that everyone becomes a winner. 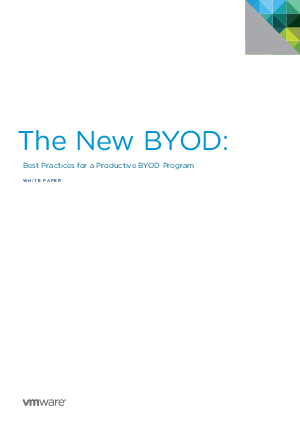 In this paper, we discuss why a bring-your-own-device (BYOD) approach to workforce mobility is a compromise-free approach, and then how the combined capabilities of Samsung KNOX and Enterprise Mobility Management from AirWatch by VMware turn this compromise-free approach into reality.